This summer, you might find it challenging to pull-off any outfit because of the heat. Well let Jacquelyn show you how she used her Angelique bodysuit as a top and transform it and work it for both of her day and night look! Jacqueyln stick with her denim ensembles with her faded denim shorts and blue-hued denim Vest. 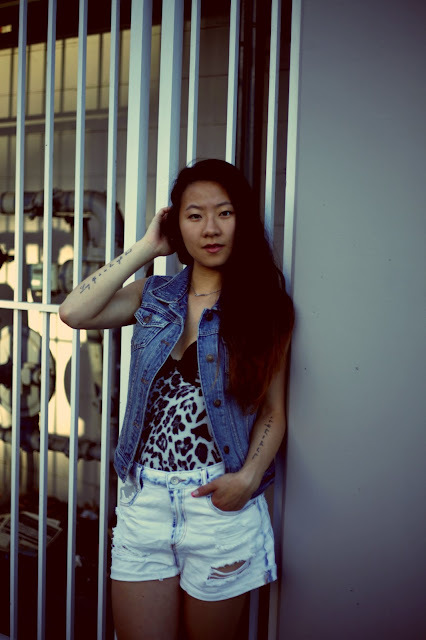 She wore the Angelique bodysuit as a top paired with her shorts and covered it up with a denim vest. 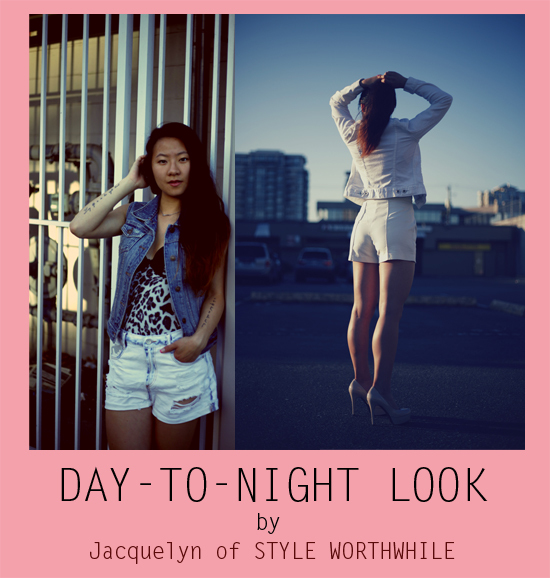 For nighttime look, Jacquelyn changed to her white set of crisp blazer and high-waist shorts for a much more elegant and formal feel, but remained the Angelique bodysuit as her top! Try some DIY projects to yourself too!